Hot menu item for 2017: Technology! Although technology has been booming in the big food brand, chain, and fast food space for years, it has finally made its way to the kitchens and tables of SMBs (small- and mid-sized businesses). 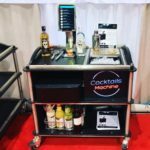 (See Part 1 for an overview and Part 2 about ways in which tech is transforming the diner experience, based on my recent visit to the National Restaurant Association Show 2017.) Now we move on to the perspective from owners and managers. Enable businesses to attract and retain the best PEOPLE. You casually order a burger and fries. You probably don’t think about where the beef, potatoes, fryer oil, ketchup and pickles came from. And what about the griddle, spatula, and cleaning supplies? Not to mention the apron the cook is wearing. Or the plastic forks. You get the idea. They had to come from somewhere…at the right price and time. “We’re out of the chicken today,” is not a phrase you want to hear in a fine dining establishment if you have a fowl craving. Estimating order volume is an art and a science. Restaurant owners must also be highly-organized purchasing agents and inventory managers. Technology now makes that simpler. Craving better purchasing management? The answer in the future may be one-word: Amazon. The leader in online shopping is taking the commercial kitchen by storm and disrupting the supply chain. As consumers, restaurant owners shop online and compare prices from various vendors. Pulling up a chair at the restaurant industry table seems like a natural. An Amazon executive keynoted the conference, which says a lot about where the restaurant industry may be heading. But this effort is clearly still not fully baked. Amazon’s website doesn’t even mention the hospitality industry. Perhaps they were just at the show as a “shopping expedition” to see if they could take on the industry leaders like Sysco. Smaller tech-driven players are entering this space too, like Foodbam, which stocks more than 300,000 products. What else is on a restaurant or bar owner’s plate? Inventory control! Bari-I has a tech-based inventory tool that directly feeds into an accounting system, so managers can see how much profit is being poured down the drain. Then we have the centerpiece of restaurant automation — POS (or point of sale) systems. Replacing paper, these sophisticated and user-friendly methods of keeping track of what people are ordering and paying are standard in most food establishments today. Choosing which one to go with can be way more difficult than picking salad mix-ins. Big dogs Microsoft, Sysco, Oracle, Panasonic, and NCR are all marketing POS technologies (cloud-based options and devices). Smaller players like Lightspeed, and Order Counter were just two of the 75+ exhibitors offering POS solutions — either standalone or integrated with other operations streamlining tools. I was most impressed by Toast (the business, not the breakfast option). The company had a jam-packed booth throughout the show. I had an opportunity to speak with their CEO Chris Comparato, who stressed the importance of human connection and customer intimacy in developing tech solutions for restaurants. The company credits its success to truly listening to what business owners have to say and creating solutions based on their needs. Imagine that! Great service and customer focus isn’t just for restaurant guests! NOTE: Ironically, right after I wrote this post I happened to be dining out at a casual dining chain. Customers could call over a waiter, order from the menu, pay and tip, fill out a customer satisfaction survey, and even play games while waiting, using the tablet at the table. Easy…efficient…and probably leads to huge cost- and time-savings. The only fail was that the hostess who seated us didn’t prompt us to use the device. 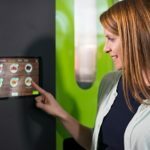 Customers will need to be trained to adapt to new restaurant systems as part of the machine-driven, self-service dining experience. Get ready! The robots are coming. Whether you’re ordering your morning coffee or your evening cocktail, quality and consistency are key. For the restaurant owner, thousands of dollars can be lost each week due to mismanaged portion control and botched orders. The IoT (or Internet of Things) is percolating in the restaurant world. Microsoft treated booth visitors to a cup of java from a smart coffee maker, developed by MeshSystems. One day you may simply text your order to the machine at Starbucks, bypassing the human barista! Start-up Chowbotics develops robots for food service. By automating repetitive tasks, Chowbotics increases productivity and prompts creativity, both in and out of the kitchen. 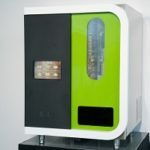 The company’s first product, Sally the Salad Robot (see photo), allows users to create custom salads. Proprietary technology results in precise caloric counts and protects the integrity of ingredients, keeping them fresh, sanitary, and separate. 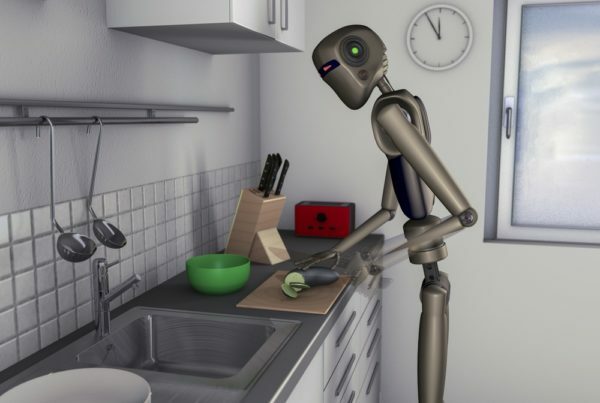 Future robots will offer breakfast as well as Mexican and other ethnic foods. 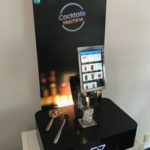 Cocktails Machine, which is now available throughout the U.S. and is already in use throughout Europe and Asia, is a state-of-the-art machine bartender. Holding up to 15 bottles, it allows human bartenders to make the perfect drink every time (delighting mixologists too)! It pays for itself quickly because it reduces over-pouring. A mobile version travels to events and country clubs. What else was hot in the IoT space? As an amateur baker and cook myself, the Naboo oven which was being demonstrated by Kappus wowed me. The smart oven allows chefs to go from cloud-based recipe to table with a few keystrokes. Check out their video (complete with dramatic “the robots are coming” music). “We’re understaffed,” is not what you want to hear as a restaurant guest. “I can’t come in tonight,” is not what managers want to hear as business owners. “Can you take my shift — again?” is not what hospitality co-workers want to hear. Finding, retaining, scheduling, paying, and motivating talent is a fact of life in all industries — but especially challenging in the restaurant world — which employs close to 15 million people and many young people in their first jobs. Hiring the right people is now easier, thanks to technology. Snagajob, Harri, JobPose, Industry, and StaffedUp are the equivalent of dating sites for the hospitality industry. 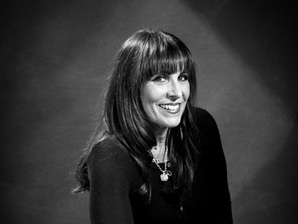 Finding the right match for a business has become way easier due to apps and detailed online profiles. Now that you have these awesome employees, how do you keep them? As important, how do you ensure you’re following local labor laws and managing your people expenses? Deputy and People Matter are the leaders is the fast-growing online scheduling space, offering fully integrated solutions for workforce management, compliance and scheduling. Newcomers Zuus, Planday, and Schedule Gofer were also at the Show. When is payday? It’s never soon enough for most hourly workers. Innovative company Instant has come up with a app-powered solution, allowing employees to self-manage their payroll and ensuring valued employees don’t have to rack-up credit card debt or bank fees in-between pay periods. So, with all these technology choices, how does a restaurant or bar owner decide what to invest in? As Chris Comparato noted above, the human hospitality aspects of the industry apply to both b-to-b and not just guest services. As a technology provider, you need to know your customer, develop solutions based on what they want and need (and not just on what coder “chefs” or product managers cook-up), and deliver personalized service. Most important, you also need to constantly be on top of what “the guy down the block” is making, so you can remain competitive in a fast-changing world of food tech. As a restaurant owner, you need to strike that perfect blend between useful (cost- and time-saving) machines and apps and human delight. After all, service with a smile will never be automated! For more on how you can apply some of these trends and tools to YOUR business, please contact us. We have extensive experience in the food and beverage industry, as well as technological innovation, including digital marketing, artificial intelligence, robotics, and much more.